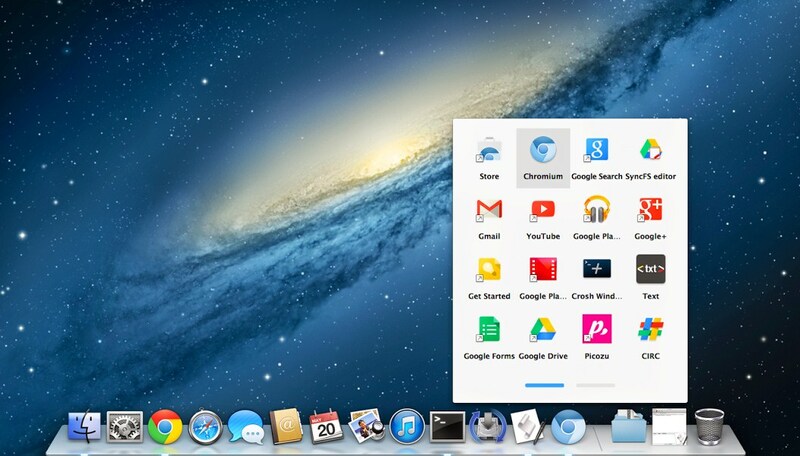 Google Chrome App launcher coming soon for Mac computers. Few months back the Chrome app launcher released for Windows computers, now the team working to launch OS X computer. Chrome app launcher helps easier way to open installed chrome apps on their computer. "Chrome Team is currently working on bringing the App Launcher on the Mac platform as you can see in the screenshot below. You can already give it a try by running the last chromium build available at download-chromium.appspot.com with the --show-app-list switch." said by Google Engineer. Now you can try Chrome app launcher beta on your Mac computer by installing Chromium browser and download any one app from Chrome web store.